Vikings Go Berzerk is the sequel for the Vikings Go Wild slot machine, also an Yggdrasil Gaming title from 2015. After Vikings Go Wild proved to be such a popular slot machine in 2015, Yggdrasil Gaming decided to create a sequel for it, and that’s what we’re looking at today. Vikings Go Berzerk is that slot machine, a title with a superb design and with a Viking theme that’s bound to be enjoyed by a lot of players. The action still takes place onboard a Viking longboat, with symbols being a mix of coins and warriors. The enemies of these Vikings appear to be Sirens, while in the previous title they were fighting a sea snake. A game of 25 win lines, it has for you 5 reels to spin. For the features, there are free games, a Berzerk mode, regular and sticky wilds and even wild reels. Regular combinations will bring up to $1,250, while bonus features can deliver up to $50,000. You might not get the option to change the number of lines on which to place bets on, but the amount that each one gets is subject to modification, within the usual range of $0.01 to $5. You can get away with the minimum bet of $0.25, but if you want a big prize you will have to spend up to $125. The four Viking characters that appear as symbols also have a special meter at the bottom of the reels. Each one has its own Rage meter, which is collected by forming combinations with these symbols. The bigger the win, the more Rage you get from it. Once you’ve managed to fill a meter, there will be a feature with 7 free spins triggered, with the Viking that triggered it being in Berzerk mode. The Berzerk mode guarantees that the Viking always wins, when fighting the Siren in free spins mode. You need that Viking to form a combo in order to get the fight against the Siren. If he wins, he gets turned into a wild symbol. The other Vikings do the same thing, but they’re not guaranteed to win the fight. Another way to get to the free spins is through scatters, 3 to 5 images of the Blonde Siren giving you 7 to 21 free spins. The WILD shield is also used, available as a substitute when forming combinations with the regular symbols. 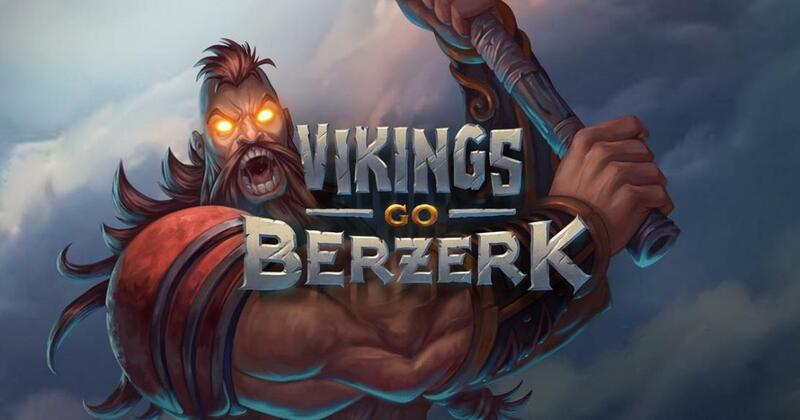 Vikings Go Berzerk will provide you with impressive features, will have an even better design than its predecessor, and it’s Viking themed, which is always a plus.